"This is the third choir EastWest/Quantum Leap has recorded, " says EastWest producer Doug Rogers, "we learnt a lot from the previous productions and Hollywood Choirs is the culmination of that experience. 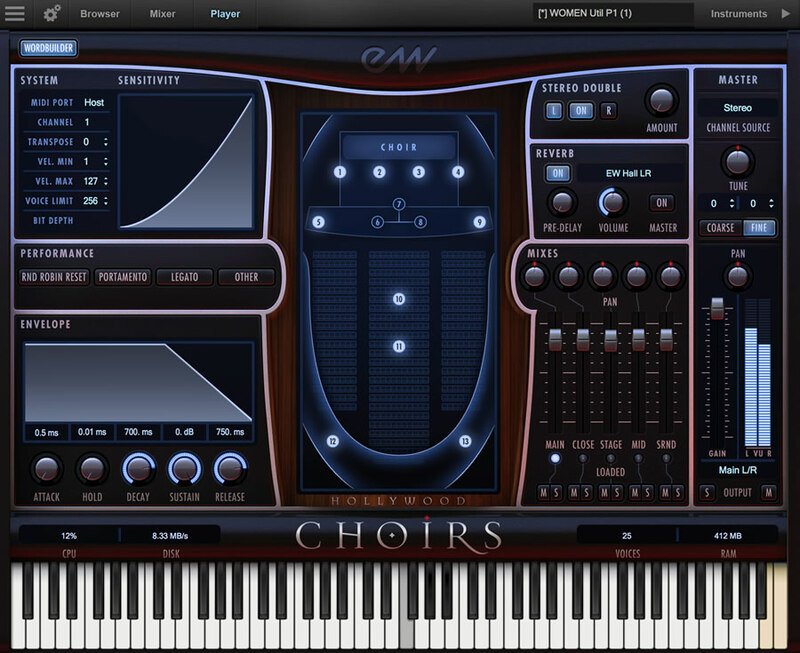 In particular, the choirs' ability to sing any word or phrase has been significantly improved resulting in more realism; and there are many more sound options to enable the user to sculpt the sound to their requirements." Sync to DAW: Now you can synchronize the position in WordBuilder's Text Editor to your DAW's sequencer playback. A collection of men and women choir instruments. A WordBuilder program that turns text into sung words. Approximately 59 GB of 24-bit, 44.1 kHz samples, All Mixes (Diamond Edition); 8 GB of 16-bit, 44.1 kHz samples, Main Mix (Gold Edition); 16 GB of 16-bit, 44.1 kHz samples, Main and Surround Mixes (ComposerCloud Gold X Edition). 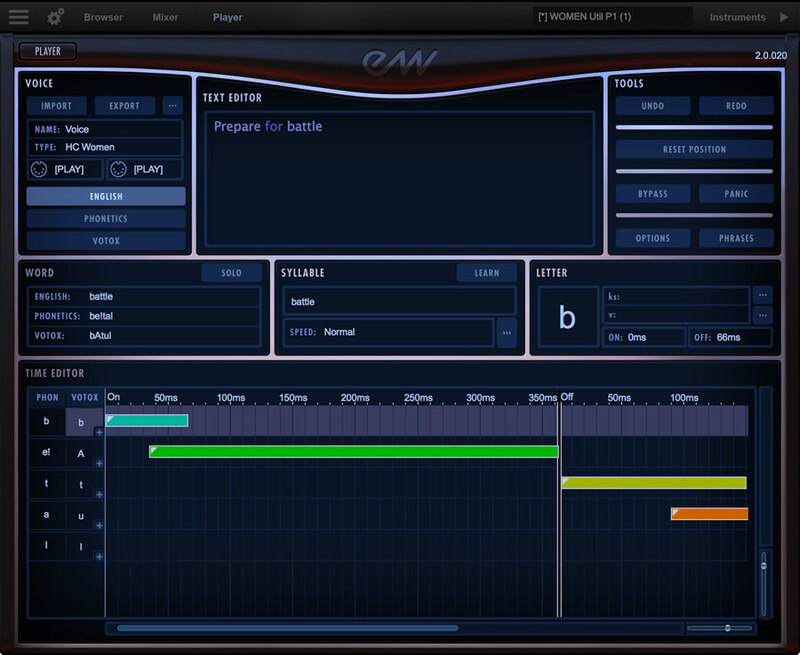 EastWest's PLAY 6 Software including a new instrument search database (earlier PLAY versions are not supported with this library). A license that identifies the product you purchased. Hollywood Choirs and PLAY 6 User Manuals (PDFs). An Installation Center application to set up the virtual instrument, PLAY software, and documentation.